Commercial space company Stratolaunch turned a lot of heads last year when it took the wraps off the world’s largest airplane, which it says will one day help to launch satellites into space. 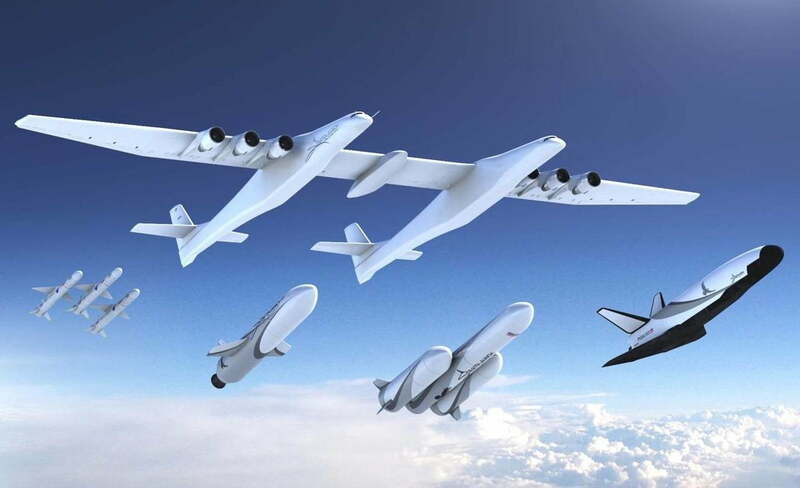 Competing with the likes of Elon Musk’s SpaceX and United Launch Alliance (a Boeing and Lockheed Martin partnership), Stratolaunch is aiming to become the go-to mobile launch platform for private firms wanting to put satellites into orbit. In a major step toward achieving its goal, the Seattle, Washington-based company, which was founded by billionaire Microsoft co-founder Paul Allen seven years ago, this week unveiled a family of rocket-powered launch vehicles that it wants to put into service from 2020. They include the Medium Launch Vehicle (MLV) for payloads of up to 3,400 kg. The MLV is now in development, with testing slated for 2022. There’s also the MLV Heavy, a three-core MLV variant capable of delivering payloads of up to 6,000 kg into orbit. This one is described as being in the early stages of development. Completing the trio of MLVs is the MLV Reusable, described by Stratolaunch as a “fully reusable space plane that enables advanced in-orbit capabilities and cargo return.” Currently in the design stage, the initial version will focus on cargo launches, with a later version modified for transporting crew. Finally, there’s the diminutive Pegasus, which has already achieved more than 30 successful launches with another carrier and can deliver payloads of up to a modest 370 kg. Stratolaunch wants to put Pegasus into service using its own system in 2020. Similar in some ways to Virgin Galactic’s launch system that uses an aircraft to get its secondary rocket-powered vehicle to a higher altitude rather than launching it from the ground, Stratolaunch’s gargantuan plane — with its 385-foot wingspan — will fly the launch vehicles to the stratosphere before releasing them to complete their satellite-deployment mission. The launch services market is expected to grow rapidly in the coming years, so Stratolaunch will be keen to stay on track with its 2022 target to have any chance of securing a meaningful chunk of the market. Besides building the MLVs, it also needs to fully test its enormous carrier plane, which has yet to take its maiden flight.